With its favorable climate and fertile soil, Macedonia has long been an ideal country for growing grapes, particularly in Tikveš. In this region, a grape variety called Stanushina has been cultivated since ancient times. This particular type of grape belongs to the Black Sea family of varieties. Depending on the local dialect, its name can be translated in various ways: “old sprout,” “yellow sprout” or “grandfather’s sprout.” Locals have planted this grape variety since the time of Turkish rule, mainly in the areas of Begnishte, Resava, Dabnishte, Raec, Drenovo and Kavadarci. It is believed that the name derives from the variety’s ability to take root even in the poor, dry soil found on steep slopes (strmni strani). Most of these sites are planted with Stanushina vines of 50 years or more, mixed in with other local varieties. Stanushina grapes are rust-colored, of medium size, and form medium-to-large bunches. As they are resistant to low temperatures, they are usually harvested late, after September. To preserve the aromas, the grapes are picked by hand when the temperature is at its lowest, either very early in the morning or late in the evening. Traditionally, these grapes were crushed by foot in copper basins, before being moved to large wooden vats for fermentation. The resulting wine, called kominyak, is left to ferment with the grape solids (seeds and skin) until it is ready to be consumed. Kominyak is ruby-red in color, with aromas of strawberry, raspberry and dried fruit. Stanushina grapes are also traditionally used to make another beverage, called madzun. After heating the must obtained from pressing the fresh bunches, wood ash is added to stop the fermentation process. Once cool, the natural settling makes it easy to separate the solid residue, and the resulting liquid is then gently heated until it reaches the correct density and color. Madzun is used to cure liver problems and respiratory infections and as a sugar substitute in home cooking. In recent years, the risk of extinction for Stanushina grapes has increased significantly, as producers have instead turned to varieties that are better known internationally. Additionally, as the Tikveš region is industrialized, many farmers are abandoning their vineyards to work in factories and many rural communities are suffering from depopulation. The Presidium has been established to save the wines and madzun made from Stanushina grapes. The Slow Food Foundation for Biodiversity is working alongside producers and Slow Food Bitola to draw up a production protocol that will ensure the high quality of both the grapes and the resulting products, and to promote them on the national and international market, where they are still almost completely unknown. 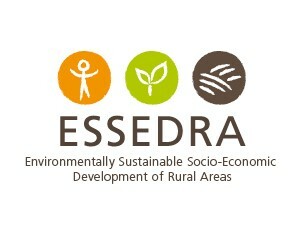 The Presidium has been established as part of the ESSEDRA project, co-funded by the European Union through DG NEAR and promoted by Slow Food, which has the objective of supporting the process of integrating the Balkans and Turkey into Europe through a strengthening of civil society and its capacity to influence policies and promote sustainable rural development models.